While I'm away on vacation, I thought I'd offer a "Best Of ExhibiTricks" series that clusters together a batch of thematically related postings that you may have missed. First up, a post about COSI Toledo. How did one of the true "name brands" of the science center world close their doors completely after ten years of operation? 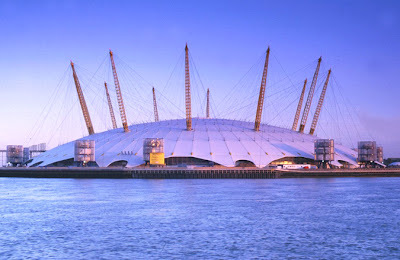 Finally, any discussion of the topic of institutional sustainability would be incomplete without mentioning the Millennium Dome in the UK. This post offers a bit of commentary and a link to an excellent PDF treatise on the subject by Dan Howland.